An island with so much to offer all year round. With strong trade winds swapping coasts for 6 months of the year, you can hide in paradise on either coasts, both with unique differences. 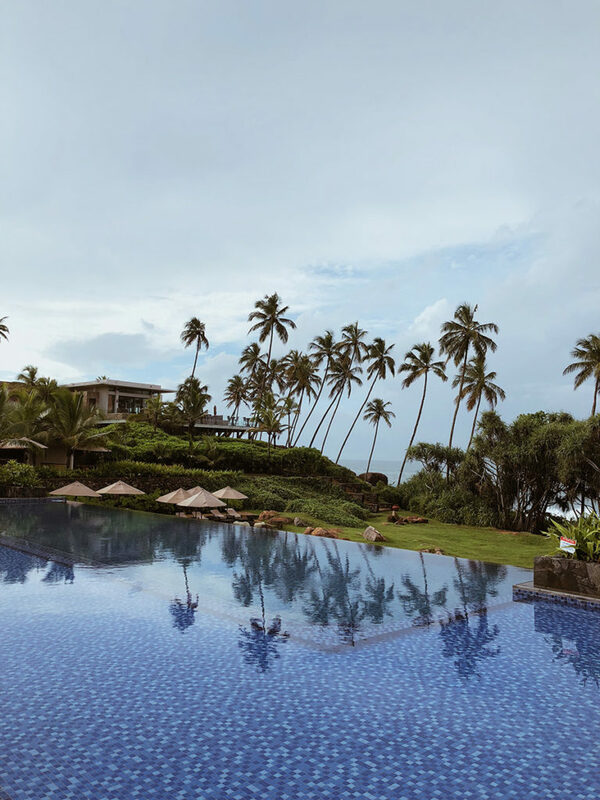 However, on this Sri Lanka family holiday, having done numerous coastal escapes with the kids, we decided to TRAVEL with the kids, and we’re not talking about hopping on a plane for a few hours and parking ourselves at a 5-star resort with a kids club and mimosa’s served to you poolside. But proper travelling with kids in Sri Lanka. Our Sri Lanka family holiday with our nearly 6-year old daughter and 2.5-year old son began in the interesting capital – Colombo. I say interesting because it is steeped in colonial history, a true clash of east meets west but with a third element – modern development. With a lot of foreign investment, there are cranes stretching out of the landscape as far as the eye can see. There is coastal reclamation and billion dollar condominiums, hotels and shopping precincts all due to pop up in 2019. Colombo is a country town turned modern city overnight. There are a number of great restaurants, but we chose to eat at the famous Ministry of Crab, one of the World’s 50 Best Restaurants and surprisingly found it very relaxing with the kids. Situated in the courtyard grounds of an old Dutch hospital, there was plenty of room for the kids to run off their dinner while we enjoyed a wine and admired the colonial past. 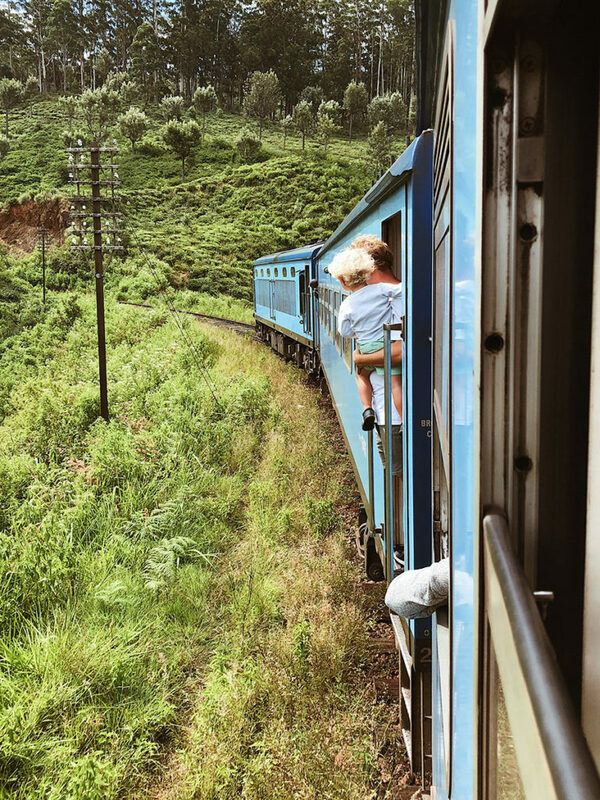 As much as we found it intriguing exploring Colombo, the urbanscape was not our ideal Sri Lanka family holiday, so we legged it for the hills to catch the train through the magical hillsides and tea plantations. You can catch the train from Colombo but the most famous stretch is Kandy to Ella and we decided to take the taxi so we could drop into the Pinnawala Elephant Orphanage along the way. The orphanage takes in the young, abandoned elephants and also looks after the injured with the plan to release them back to the reserves. We felt like it was a path less trod as we were the only Caucasians in the park. But we relish those moments, where you feel totally foreign and the local customers were looking at our white-haired kids more than the orphaned elephants. Our kids got to feed the elephants (for a small fee) all of which is donated back into caring for the wonderful creatures. From the park, we then headed on to the beautiful Kandy where we wish we had more time to explore. 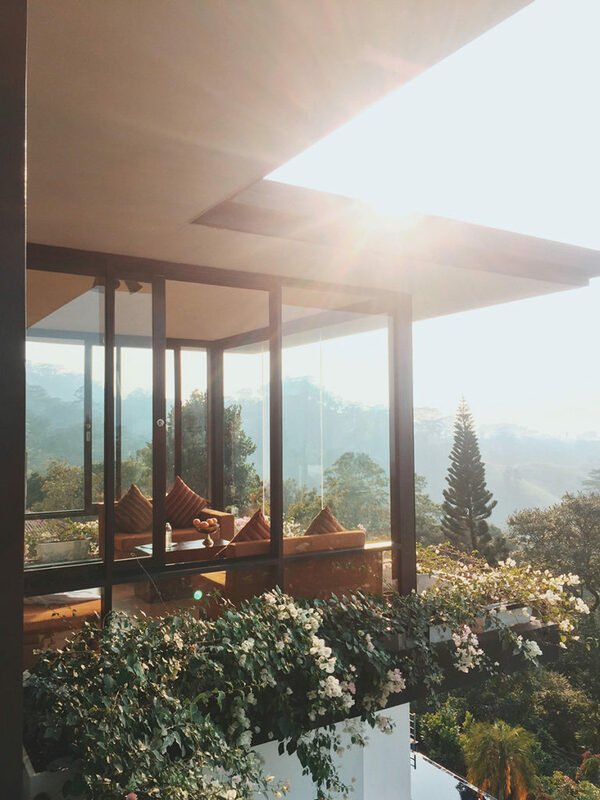 We had left our run from Colombo to the orphanage a little late, and by the time we got to Kandy the sun was setting, which was stunning from the Theva Residency, Kandy our gorgeous boutique hotel, set back in the hills only a short tuk tuk ride out of town but with magnificent views. We were perched up quite high and the temperature was a surprising change from the perennial summer of Singapore, we enjoyed having to put a jumper on in the low 20 degrees. 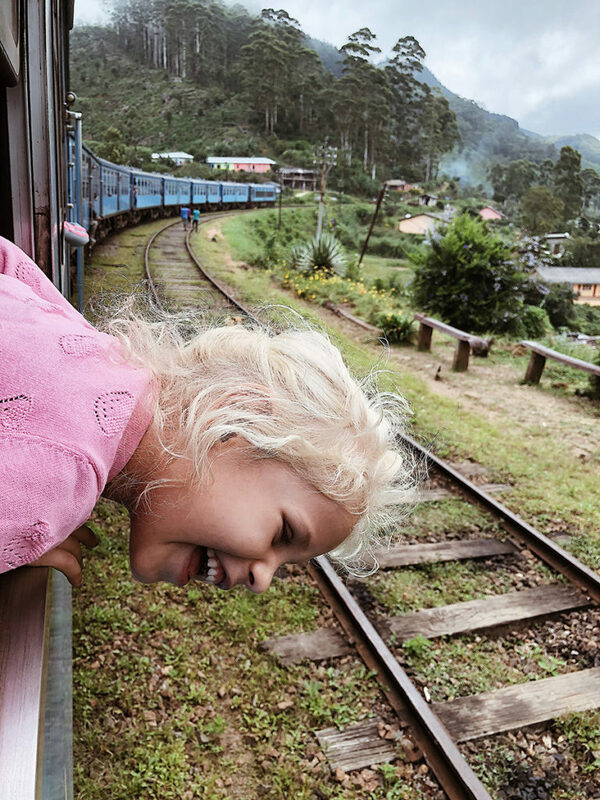 The next part of our Sri Lanka family holiday was our Kandy to Ella rail escape. 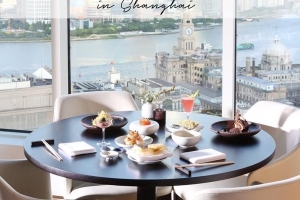 One big tip is to book well in advance, tickets go on sale 45 days before the date of travel, and agents, tourist and locals alike snap them up for personal travel or to sell at a premium on the black market. We used our well-connected concierge in Colombo to source tickets. We ended up paying probably 5 times the usual price, but the usual price is about $10. 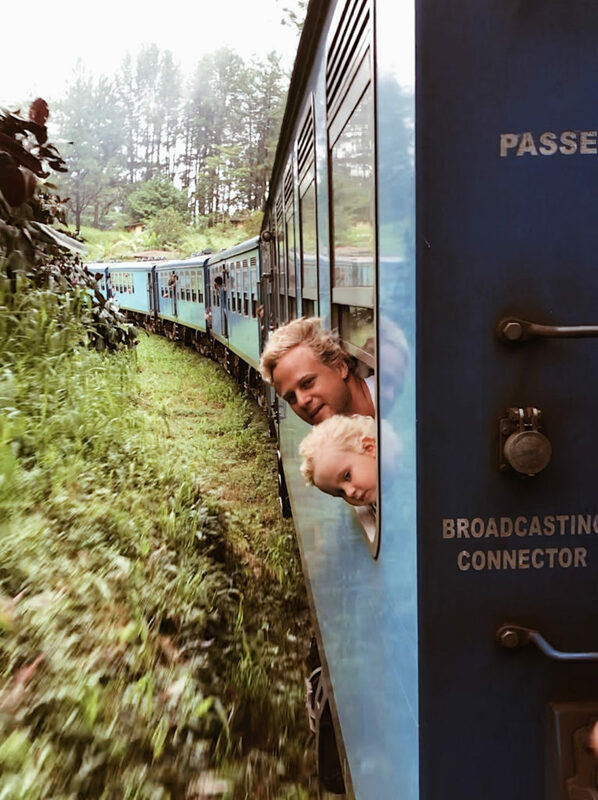 There are 4 options when choosing to travel by rail in Sri Lanka, the first being first class in an air-conditioned carriage, the second class carriage with reserved seating, and then third class (no seating). We were advised to get tickets in second-class for travelling with kids. The Kandy train station itself was beautiful, like stepping back in time to a Hogwarts graduation, surrounded by old steam engines, coal and a thick black layer of a well-worked train yard covered in soot. We were careful to ensure we were lining up in the right spot as we were told that it can be a mad rush and that if you board the wrong carriage you may have the difficulty of traversing the numerous people fighting for a spot – with kids, we didn’t want any of this, but it was surprisingly easy and the staff were very accommodating. We boarded the second class carriage which isn’t air-conditioned, it does have fans and the important thing is we had reserved seats, there’s no way I’d travel with a 2.5 and 6-year old without the guarantee of a seat. The other huge point is in second class the windows open up, giving you the best opportunity to soak in the surrounds and take a daring happy snap. The train is a slow ride, around an average of 50km per hour, so you are very comfortable moving around the rickety carriage. The surrounds are absolutely breathtaking. The thick jungle vegetation, the monkeys, the local housing. Some of these houses, not much more than a tin roof with a dirt floor have million dollar views overlooking 200-metre waterfalls. The variety of sightseeing made this 6-hour journey on the Kandy to Ella train fly past. We were concerned about the kids, but they loved the train, the chug a chug and clickety-clacks had jumped off their books and into their lives. They joined in on spotting monkeys, waterfalls, tea plantations and stunning colonial bridges as we passed through the cool highlands. We turned the fans off as we were getting a little chilly and our 2.5-year old dozed off to sleep from all the excitement. There are a lot of stops along the way for the adventurous backpackers, such as Little Adams Peak, but our journey ended at Ella. Many continue on past Ella (or even walk along the track from Ella) to the next bridge as it is very picturesque, but our kid’s train time was coming to an end and we had to move to our next priority – dinner, a shower and a fresh set of bed sheets. We grabbed one of the many taxi’s waiting at the small Ella train stop (reminding me of a smaller version of Ubud) and slowly wound our way down the mountainside, stopping at a quaint café with a panoramic view and a waterfall that was on the roadside but looked only deserving for those who had trekked miles through a hot, sweaty, leech-infested jungle. To simply drive up and park at this relatively uncrowded masterpiece felt like we had cheated nature, but we didn’t complain and our kids were more than happy to get out of the car. For us, one of the downsides of this Sri Lanka family holiday was the car sickness that came with the windy roads. We stayed about 25 minutes out of Ella (but the township of Ella did look stunning) at a place called Jetwing Kaduruketha, Wellawaya. This to me was one of the highlight accommodations of the trip. 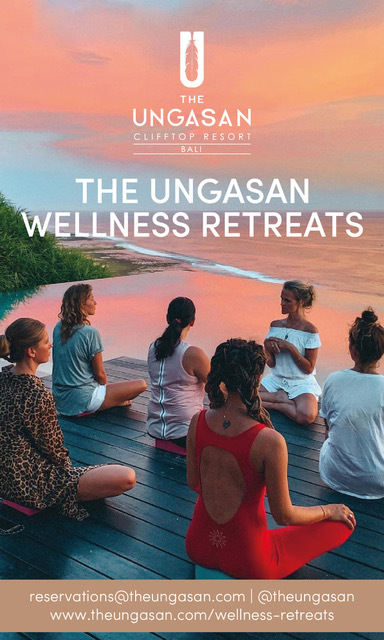 The hotel was more like a villa resort, with individual “eco-dwellings” scattered around the grounds surrounded by rice paddy fields and lined with a creek which we were told during wet seasons is a great way to spot the wildlife and take a dip in the natural pools. 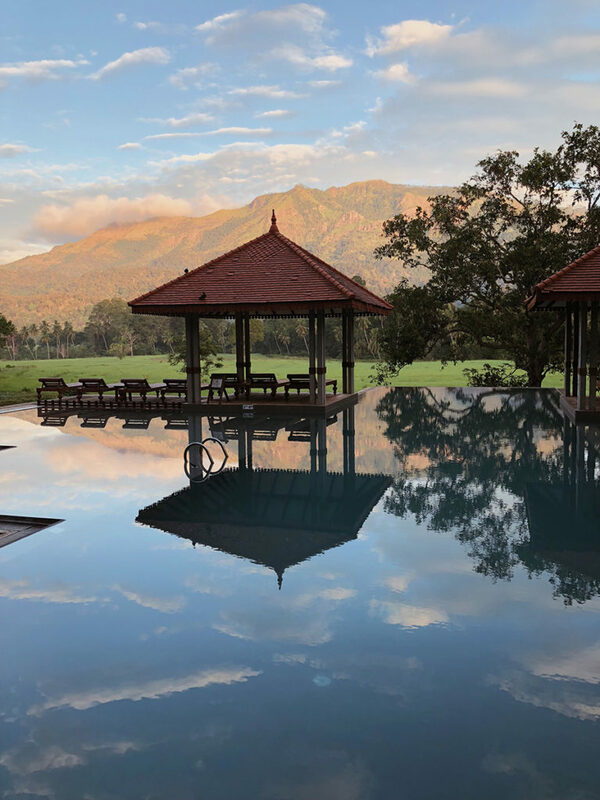 The Jetwing Kaduruketha is set amongst the contrasting bright green rice fields and the crystal blue skies lined by the mountains of Ella, we sat back at the pool, drink in hand in awe of the peacefulness while our children explored the surrounds. 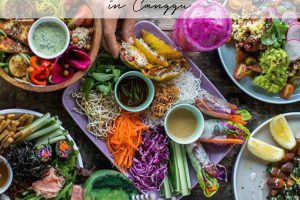 The staff were more than accommodating, offering fantastic cuisine but also wanting to show us some cultural sites, from local villages to hidden waterfalls to bird watching and night time trails to try and capture the local nightlife. 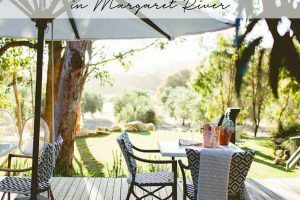 This resort had it all for young honeymooners and families, to older couples wanting to simply relax. 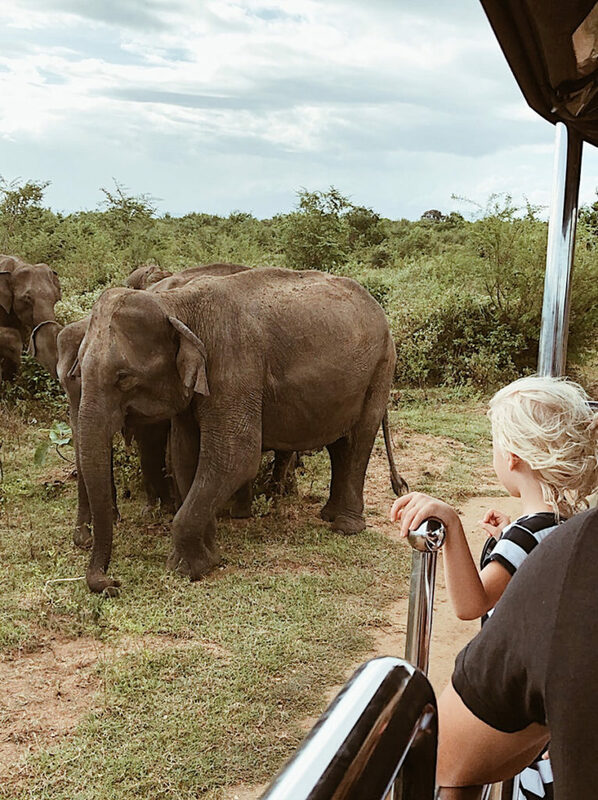 Onward from Ella to our kids most awaited leg of our Sri Lanka family holiday, Udawalawe and the glamping of Master Campers Sri Lanka where we were guaranteed to see elephants in their natural habitats. We were not disappointed, we saw elephants standing on the outskirts of the reserves before we had even reached Udawalawe. 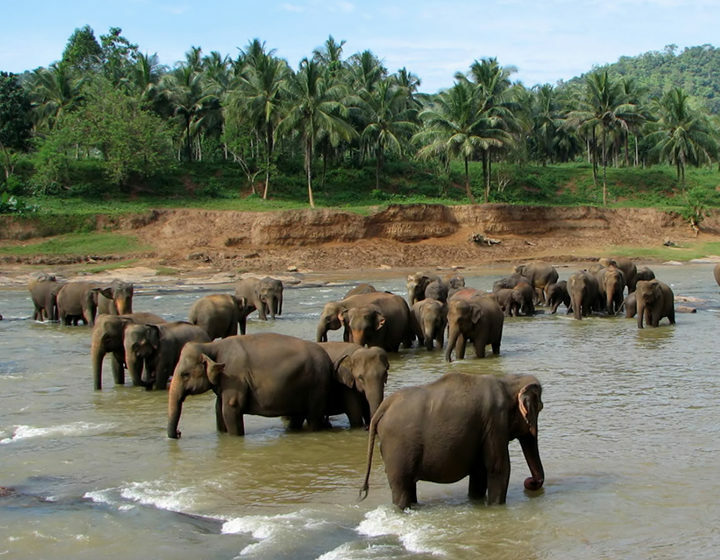 This safari park is less famous than the Yala National Park where there is a higher chance of seeing leopards, but Udawalawe National Park has by far the larger of the elephant populations. The accommodation of the town is still catching up with the spike in demand for eco-tourism, but we had done our research, and although on the expensive side, we wanted to feel like we were part of the landscape by going back to a tent rather than a hotel room. The campground of Master Campers Sri Lanka was set on wetlands and we had front row seats to the inauguration of Simba as our kids happily sung Hakuna Matata in the background. The staff were absolutely fantastic, young, but with grins from ear to ear, as they took great care of us and especially our kids. We were pampered in every true sense of the word glamping. And now we have set the bar very high for when our kids want to go on their next camping expedition. 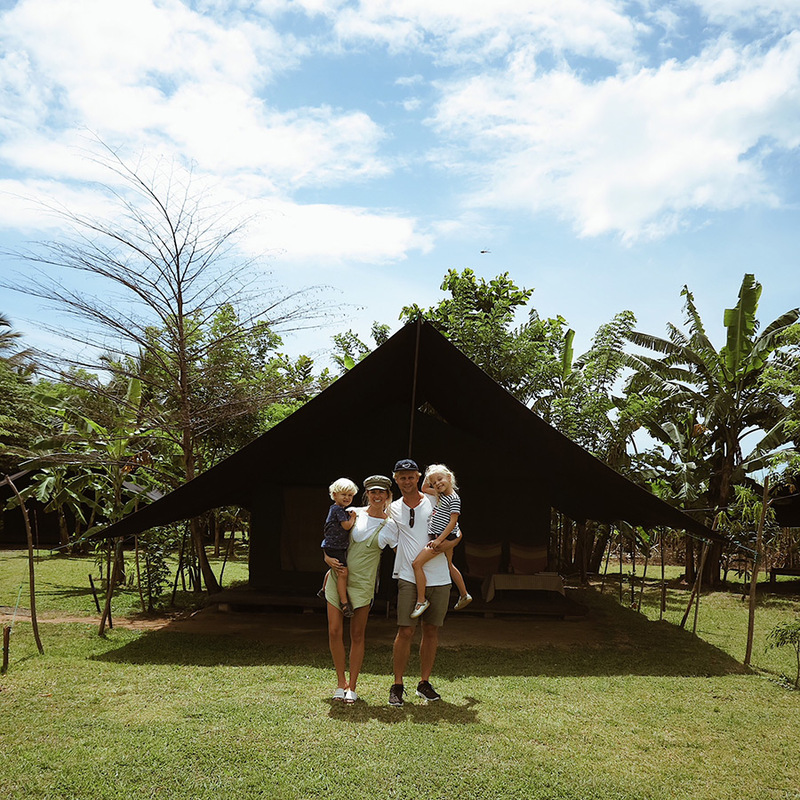 The other huge benefit of staying at Master Campers Sri Lanka is their many years of experience in the Udawalawe Reserve, their camp is only 5 minutes away (some hotels are in Udawalawe but an hour’s drive to the entrance of the park). 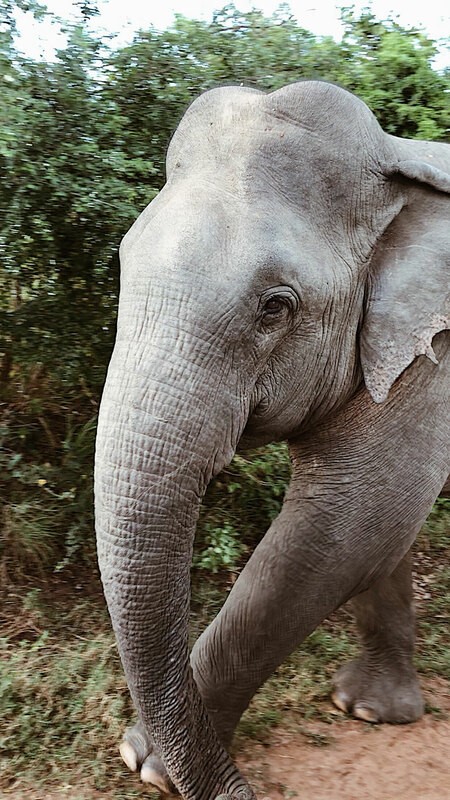 Our tour guide, the famous Roy, took us on a journey we will never forget as he knew every nook and cranny of the park and lead us away from the crowds and into Elephant herds, so close that we could almost touch them. The number of Elephants (and peacocks, monkeys, yaks, crocodiles & antelope) was unbelievable, we simply lost count, but were mesmerised by their family structure and behaviours. The only thing missing on this Sri Lanka family holiday was the familiar voice of David Attenborough. The Safari was so good that afternoon that we decided to do another with the children the next morning and slightly delay our trip toward the coast. But we couldn’t wrap up a Sri Lanka family holiday without seeing the ocean. From Udawalawe, we headed south – as we didn’t want to stray too far – Arugam Bay is beautiful but it is the opposite direction of the airport and with kids, we felt that the southern coast would be easier on the return leg home (easier by about 6 hours). 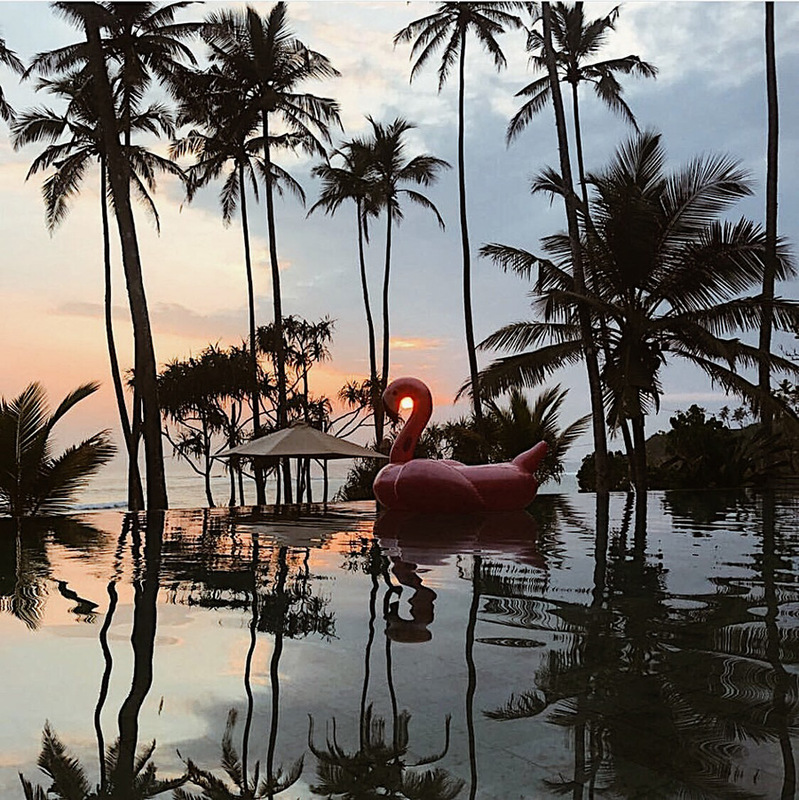 We headed to Anantara Peace Haven Tangalle which is a lovely 5-star resort, with all of the luxury amenities you would expect, making a Sri Lanka family holiday seem like a breeze. This resort had a kids club and poolside service, set on the rugged coastline with a small bay carved out just for this hotel. The dinner up on the hillside restaurant il Mare Italian was stunning, a great way to watch the sunset and right next to a grassy hill for the kids to dance in the moonlight. We were told that the beach usually has turtles hatching this time of year but unfortunately, we just missed it. And after all of the travelling and feeling like we were becoming one with the large island, we kept going, opting for a humble but yet uniquely beautiful bed & breakfast style hotel Eraeliya Villas and Garden in Weligama. The style of the hotel was homely and more like stay in an 8-bedroom house. Within Weligama we were able to explore with the kids a plantation that is not too far, an aquarium and great restaurants, but it was the sea that we were drawn too. 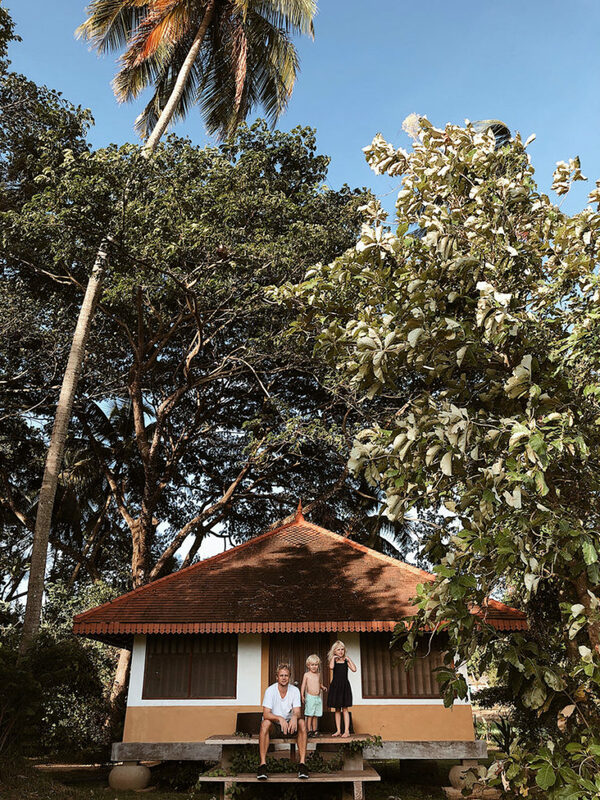 We hired some boards and paddled out into the friendly, small yet warm waves of Weligama with the kids and got them standing up, splashing and giggling until it was time for a freshly caught seafood dinner back at the room. We felt like we were staying with generous friends in their house that was modelled on the old colonial style dwellings. We knew it wasn’t the beach season for the Southern coast, however, we were prepared and still loved the overcast, sometimes rainy days. We were wet anyway so we may as well go for a swim or surf. We spent the last few days of our trip soaking up the salt water before we had to make the sad journey back to the airport and head for the metropolis of Singapore. But as the kids fell asleep during the 3-hour car ride, I could almost see the images of Elephants, turtles, monkey’s and waves cascading through their minds. 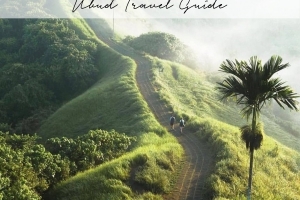 Sri Lanka is truly a land of beauty, one which you can engineer many different trips, from coastal, to 5-star to rugged hilltops to animal safaris and surf expeditions. 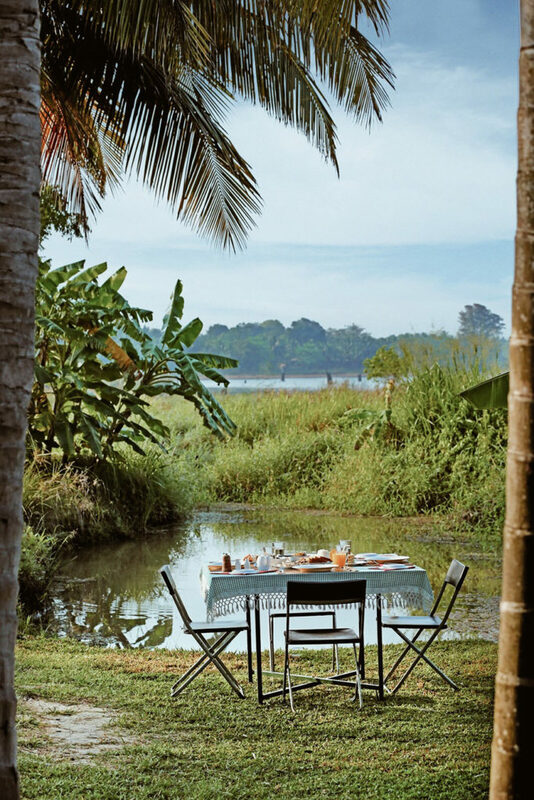 With so much to offer, Sri Lanka won’t be undiscovered for long. 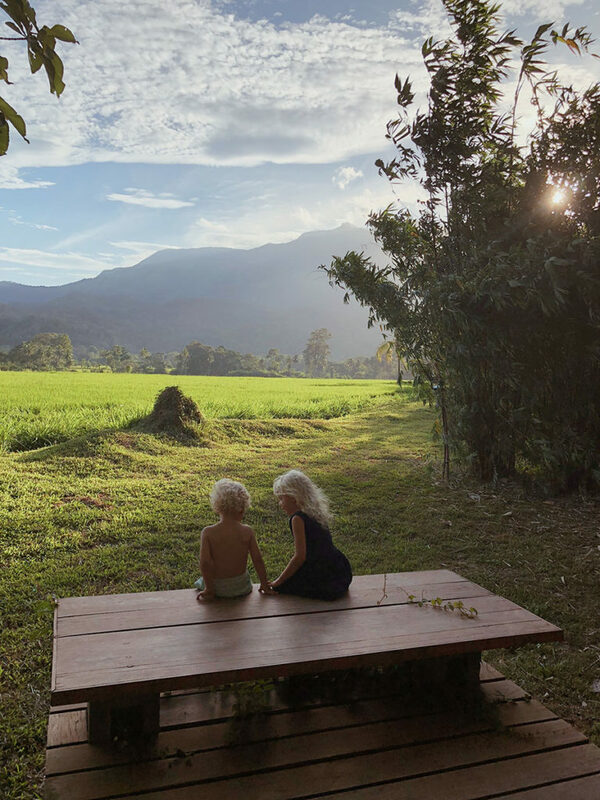 This Sri Lanka family holiday article “Travelling with Kids in Sri Lanka” was written by James and @kelly_beckwith of The Asia Collective. 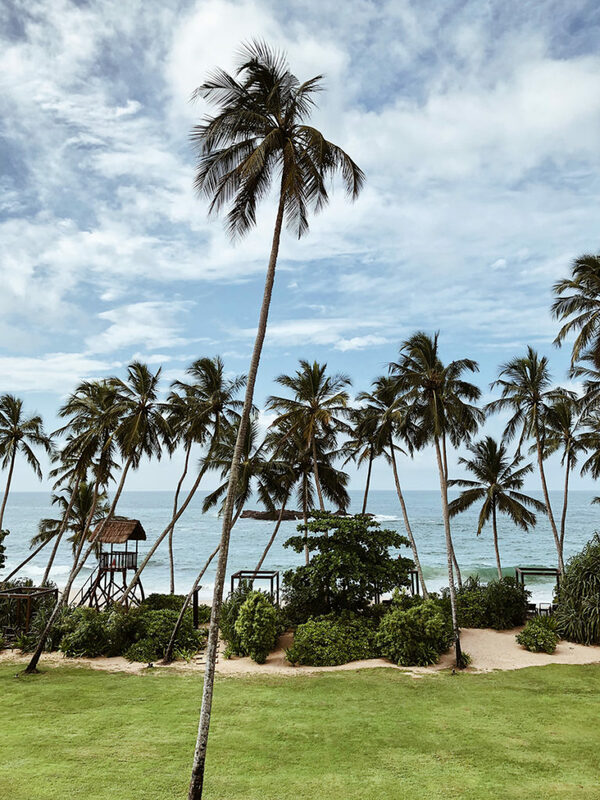 Contact our concierge team to help choose your perfect destination, whether it be a romantic honeymoon or an action-packed Sri Lanka family holiday. 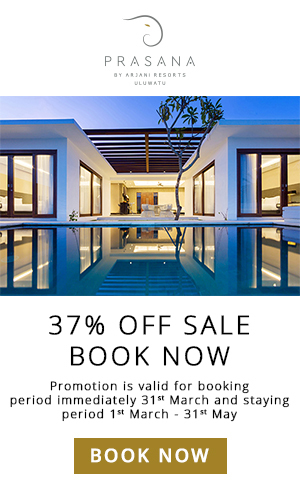 Our experienced team will help curate your dream escape, at the most competitive price, and throw in a few extra perks where possible along the way.